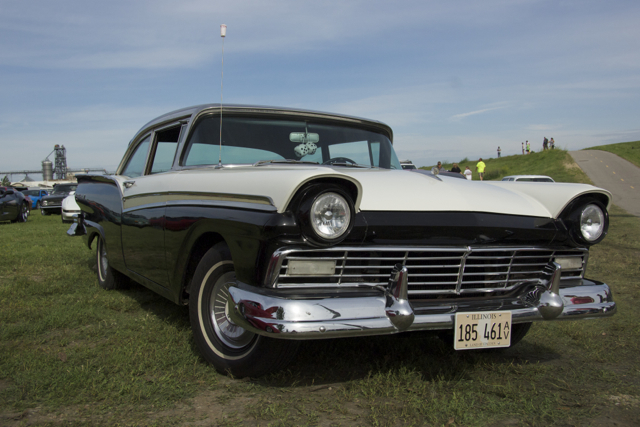 Another day, another three-hundred miles of cool cars, traffic lights, and hot rod fans along the highways. People line the streets in big and small towns alike, and when they show up, it is often with their rides. 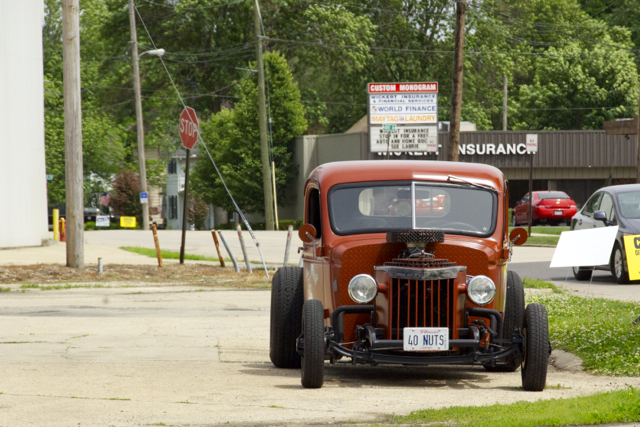 Here are a few of the hot rods we saw along the highway on our way to Bettendorf, Iowa. 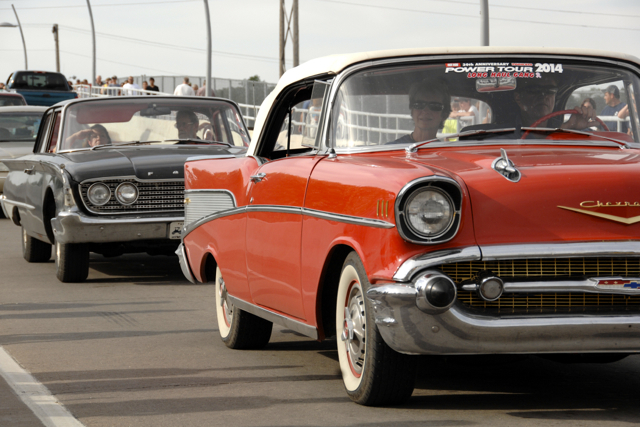 In Bettendorf we were greeted to a mile-long line of rodders waiting to enter the staging grounds at Isle Casino. The wait was worth it. The view below is "not the half of it," probably not even a quarter of it.